Dreams come true. Creativity sparkles. Communities Innovate. Youth Inspires. Dreams wear the foot of the fastest animals; it goes to the stadium and wins the high jumps. Dreams shake like a tree with curious wind on its face, it dances like leaves in love wind the storm. 365 days ago, we slept, imagined, planned, thought-stormed and took action in creating street-smart education with grassroots youths starting from Nigeria to the rest of the world. We opened the floor of our educational approach in Benue State, North-Central Nigeria in a rural Community called Mbagishi, we worked in the creek without a paddle, like a workman with blunt tools, yet we were welcomed by the Community as royal families are decorated. Our heartfelt appreciation goes to Mr. Mgbangu, an innovator, highly creative and a secondary school teacher in Vandeikya Local Government, Benue State, Nigeria for being our link into the Community. His ingenuity and love for the development of Nigeria is superb. We interfaced with the Community people, from the ages of 16 to 60; we had a lot to learn than we could share. Although, the media usually describe these communities as poor, backward and having nothing, but we were shocked and excited that Mbagishi Community has almost every form of expertise that is needed to create development in a Community. –The creation of bamboo solar lamps, facilitated onsite by George Ogar, a young social entrepreneur and passionate about rural development and green energy in Africa. -Tapping into the creative mind of primary school students of LCM, Mbagishi. They were presented with basic materials such as papers, thread, broom, newspapers, slippers and some other ‘trash’ and they transformed all these into creative learning materials, toys and fun moments. -Finding the Assets, Gifts and Resources of people in the Community. 1 participant in one of the sessions, found out that he could do more than 18 things with his talents, he felt bad, yet empowered that he had not been using the goodness within him. -Creating illuminated rooms through the use of plastic bottles and the creation of soaps from Community plants and trees. –Partnership with a neighbouring ICT firm (MollyFrank Nigeria Limited), this gave our grassroots participants to be able to access the internet for the first time. 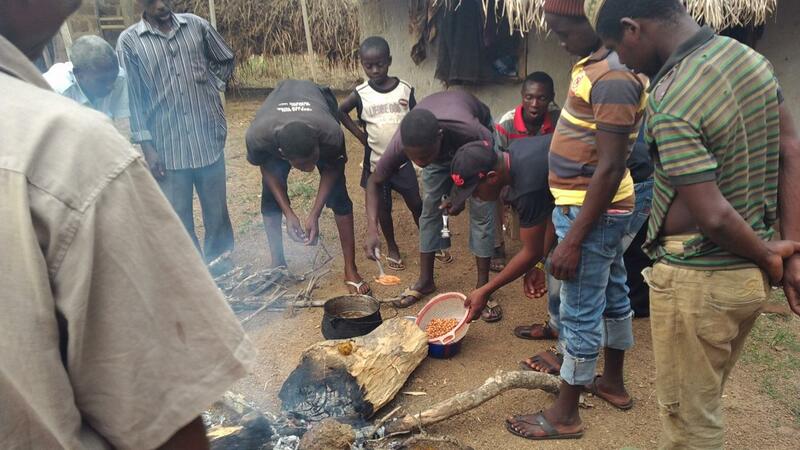 –The creation of industrial peanut (snacks) locally through our first-ever virtual training by one of our professional volunteer, Opoola Grace, a nutritionist per excellence. Then, we found a new route into another grassroots Community, still in the North Central Region of Nigeria – Afon, in Asa Local Government of Kwara State. The candle that ignited our light in this Community is Adam Abdulraheem, he is our Community mobilizer. 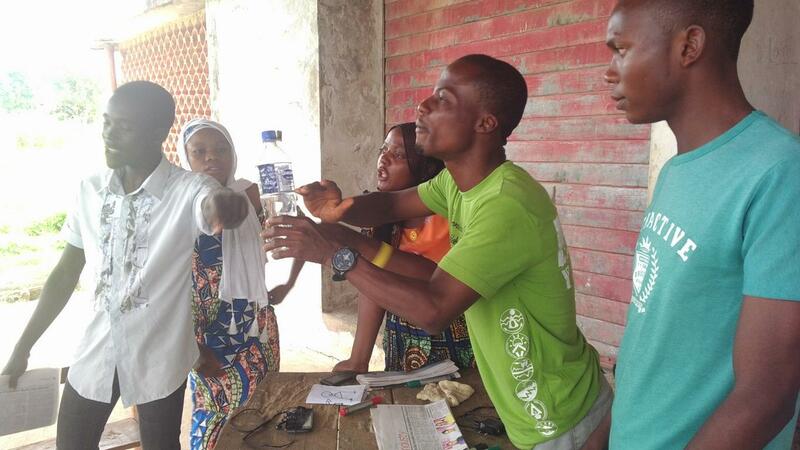 He carries an unquestionable energy for sustainable change in the Community education, health and development. With other inspiring youths in the Community, we engaged with the Community Chiefs and the Community agreed to fund our project in their Community (accommodation, feeding, training materials and venue to run the sessions). -Identification of 150+ skills, gifts and expertise selected 15 participants within the Community. –Creating organic manure for vegetable farming from kitchen food ‘waste’ and plant materials. –Creating executive chairs and tables from ‘waste’ tyres and milk can. -Introduction of grassroots youths into the digital world of possibilities (in partnership with MindtheGap, A Google-sponsored Initiative) in Kwara State, Nigeria. -Centre for Education Innovations (An Initiative of Results for Development Institute), USA profiled Prikkle Academy alongside other education organizations around the world that are solving education problems with an innovative approach. 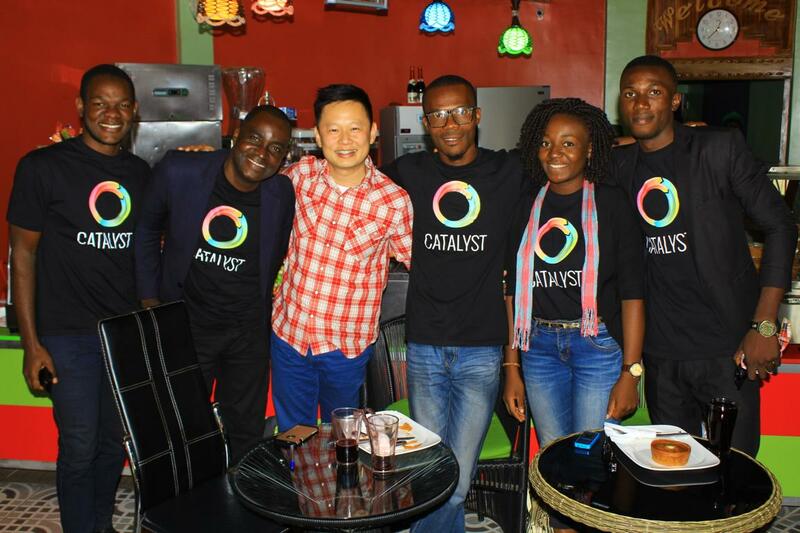 -Prikkle Academy supported the Dream Again Prison and Youth Foundation to host Catalyst (An Initiative of the Asia Pacific Institute of Coaching, Malaysia) and Coach Melvin Leow as he toured 4 states in Nigeria. We thank our Board Members (Jake Okechukwu, Onafeso Oluwatimilehin and Fasoranti Damilola) for their support all through 2016. Our team members (Philip Amiola, Adam Abdulraheem, Opoola Grace) were superb and amazing all through the year. We thank you too for reading, your support and all your comments — it means a whole lot to us. Let’s do more in 2017 and beyond. To get involved with our work and become a leading light in creativity and empowering others, please click HERE to join us. From Prikkle Academy Desk…inspiring Community builders.